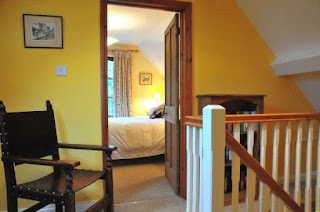 The Owl's House offers award winning self catering accommodation in Much Wenlock. 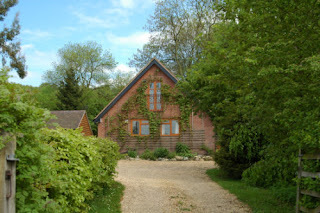 The cottage is set in a stunning location in Shropshire, ideal for a relaxing break away. This beautiful cottage has been renovated to offer excellent facilities & can comfortably sleep up to 6 people. The lounge comes with comfy seating, Sky TV and a DVD player. A gas fire will keep you warm and toasty in the winter months. The fully equipped oak kitchen comes with range of excellent appliances. A complimentary hamper of local bacon, sausage, eggs, bread and butter is provided on your arrival. Three bedrooms are available. One bedroom is one the ground floor and comes with en suite facilities. A separate downstairs bathroom is also available. Two further bedrooms are upstairs. Both rooms boast glorious views of rolling countryside. Outside is a lovely patio area and herb garden. A table, chairs and BBQ are provided, & an outbuilding is available for cycle storage and other large items. Much Wenlock has lots of shops, restaurants and pubs to visit. The spectacular ruins of Wenlock Priory are a short walk from the town square. Further afield you can visit Shrewsbury, famous for its Abbey. You can also enjoy riverside walks, good shopping facilities, museums and a castle.